The gateway collects data from sensors and transmits data to the cloud platform. 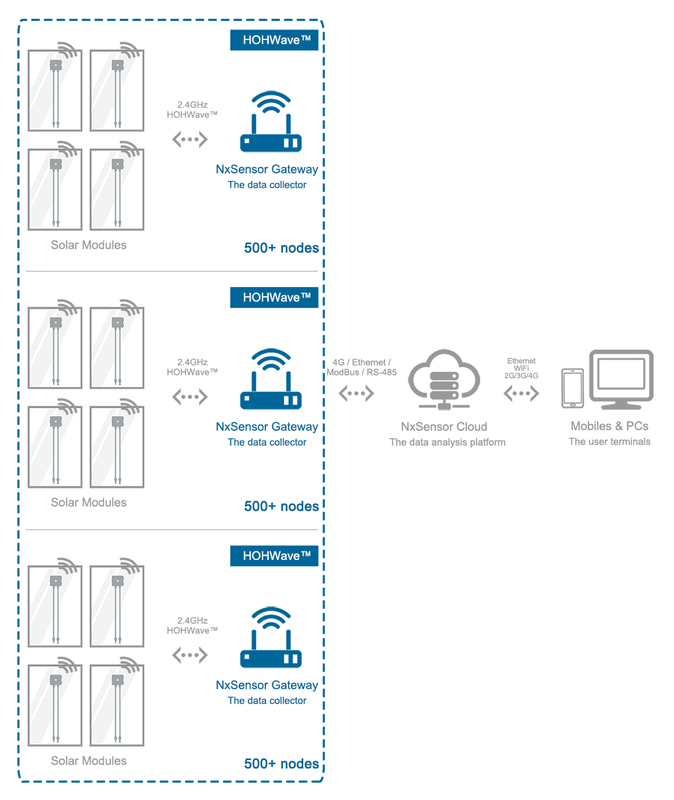 One gateway can typically access 500+ nodes of sensors. 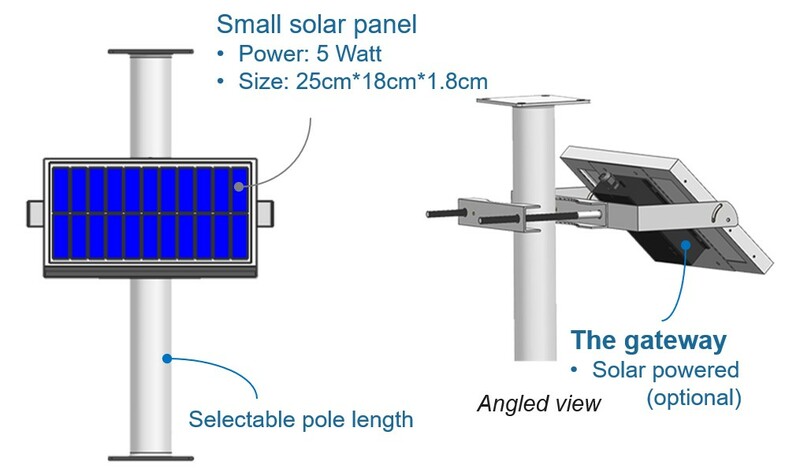 The gateway and sensors form a wireless mesh network - HOHWave™, which is a wireless technology enabling low-cost and extensible network for solar PV module-level data communication. The gateway supports various power supply sources, such as DC 12 V/24 V, AC 110 V/220 V, PoE (Power Over Ethernet), or a small solar power panel (5 Watt). All is for the consideration of making it portable and easily placed in a PV plant environment. The gateway also has external data interface supported, such as ModBus, IO signals, etc. This aims for integrating data with inverters, charge controllers or receiving On/Off signals from rapid shutdown controlling devices.